Includes remote control universal boxes if ordered separate and wire harness you can run up under your shuffleboard table to mount controls on each end of cabinet. If ordered with a table your table will be pre wired at the factory and on most models the score buttons will be installed on the cabinet. The score unit pole is powder coated in black and will mount on the side of most shuffleboard cabinets, you may have to do some modifications but if ordered with a new table mounting blocks will be build into the cabinet. 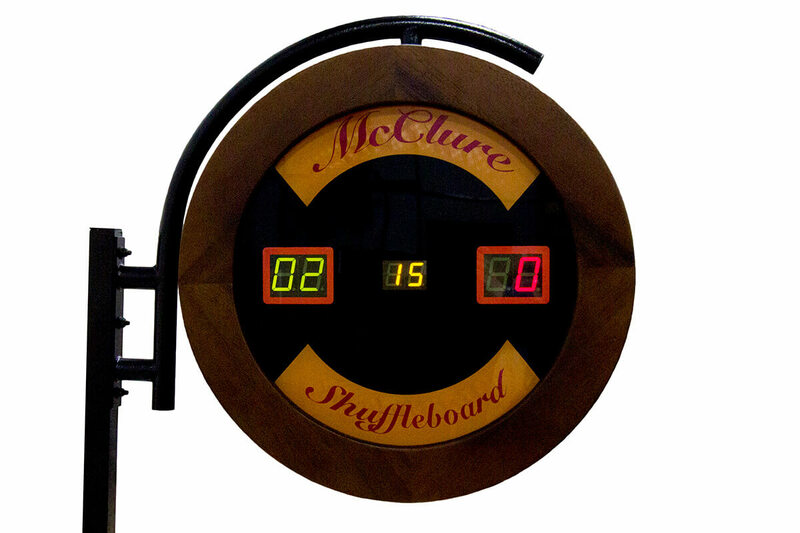 We will match the finish of the score unit to the color finish you choose for your shuffleboard cabinet.